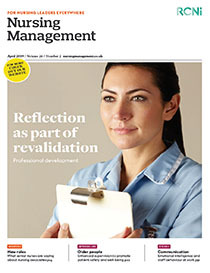 Aim Nurses’ emotional intelligence (EI) affects many of their behavioural skills. Given the importance of communication skills, the aim of this study is to investigate the relationship between EI and the communication skills of emergency department nurses. Method 253 nurses working in five hospitals affiliated to Ardabil University of Medical Sciences took part in this cross-sectional analytical study. Participants completed Goleman’s EI Scale and a researcher-designed communication skills questionnaire. Validity and reliability of the tools were measured throughout the study. Data analysis was carried out using analysis of variance, Pearson correlation and Spearman correlation tests in SPSS v18. Findings The mean EI score was estimated to be 78.31 with the highest and lowest scores related to self-awareness (20.83) and self-management (18.19) dimensions respectively. The mean total score of communication skills was estimated to be 70.91. There was a significant relationship between total EI score and total communication skills score (r=0.775, P<0.01) and a strong significant relationship between the four dimensions of EI and the total score of communication skills. Conclusion Since EI and its dimensions have a positive effect on nurses’ communication skills hospital managers can enhance EI by organising training sessions and promoting communication skills and provide the ground for continuous improvement of hospital services.